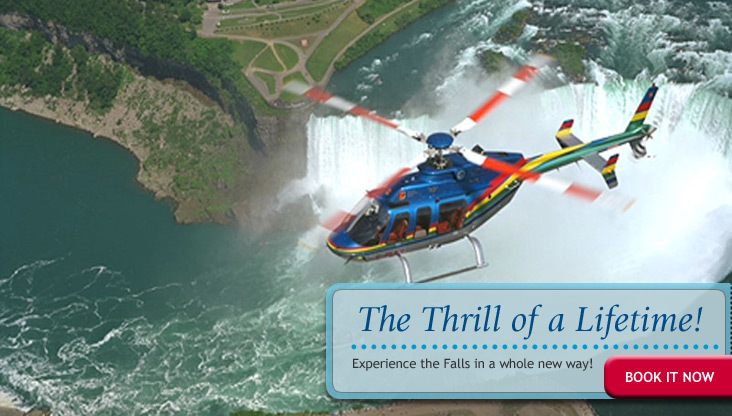 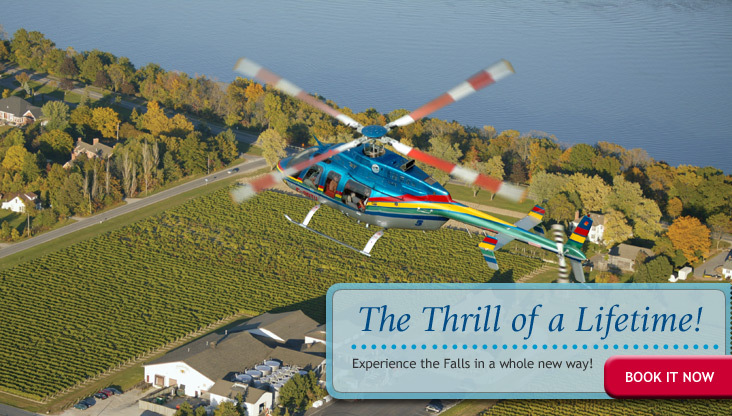 From the sensation of lift-off, to the excitement of soaring above the turbulent rapids and cascading waterfalls, your Niagara Helicopters ride is a unique and spectacular experience. 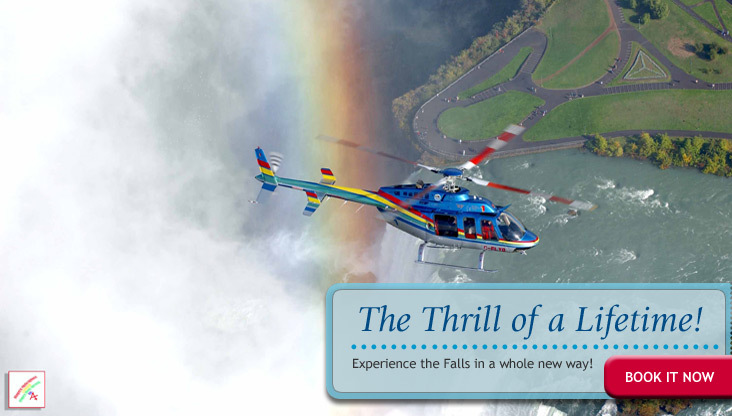 Your all-scenic flight gives you a thrilling view of Niagara's natural and man-made wonders. 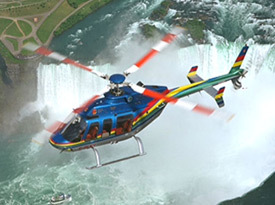 One of the best Niagara Falls attractions is without doubt Niagara Helicopters. 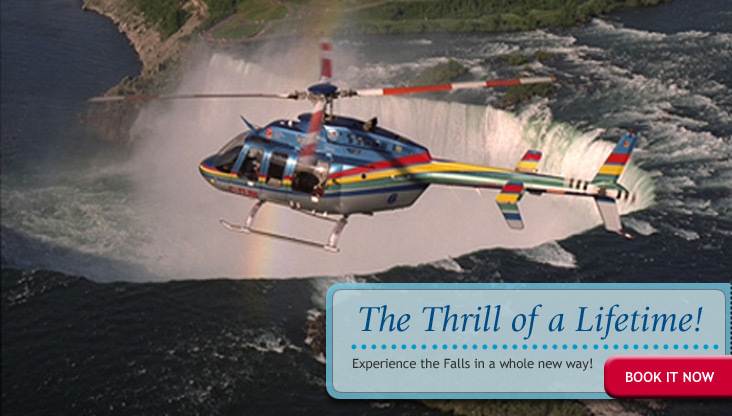 The spectacular view of the Falls is the perfect activity for your family vacation. 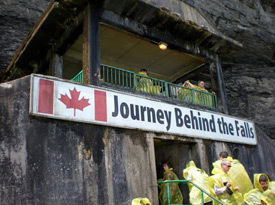 Please, don't forget your camera, you don't want to miss any picture-taking opportunity.